I've been having a lot of problems with my hands over the past few months. Swelling, joint pain, just having hands has been a real struggle. My rheumatologist recommended I try arthritis gloves and they have been a total lifesaver. They're lightweight compression gloves that have just the very tips of the fingers snipped off, so you can still use your phone and type (essential for me). They help keep my hands comfortable and are especially nice to wear when I'm sleeping, when the pain in my hands can be so distracting that I can't fall or stay asleep. I bought this pair for $15 from Amazon in a size large (proving that it is important to size your hands. I don't seem like I have large hands in the slightest, but the last thing you want with a compression garment is a super tight fit). If you just do a search for "arthritis gloves" you'll find many different styles and brands all over the place. I highly recommend these and I've even washed them a few times and they're still going strong. Plus, my hands feel better! I've actually already recommended Playing House on this site. 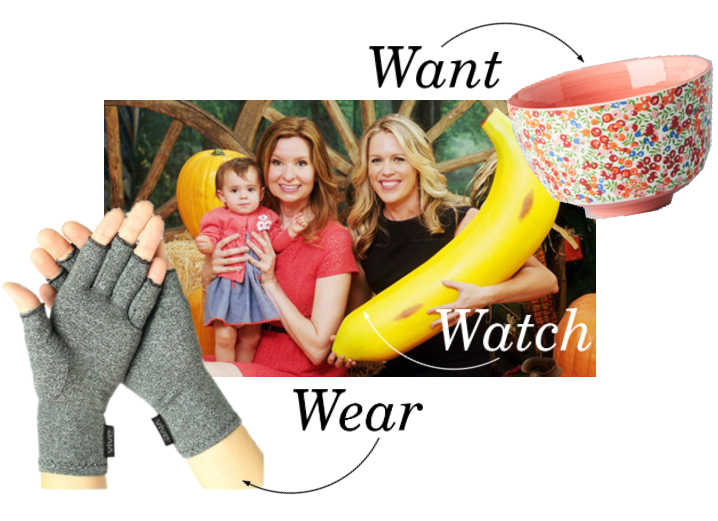 Lennon Parham and Jessica St. Clair's show is just delightful and heartwarming and laugh out loud funny - I could recommend it to you every day and it wouldn't feel like I was endorsing it enough. The third season of Playing House aired this summer (all episodes were available to stream on demand at once, and you know I binged them in one day) and it was especially poignant because Jessica St. Clair's character, Emma was diagnosed with breast cancer - mirroring St. Clair's own diagnosis not two years before. St. Clair published an essay on the Stand Up to Cancer website before the third season of Playing House premiered, which was how she announced not only that she had had cancer, but that her personal experiences were going to be featured in the upcoming season of the show. I mentioned this before, but I'm just going to add that Playing House makes me cry on the reg. Each season finale has left me having to go wash my face because I am coated in (happy, cathartic) tears. So after reading this essay, before season three had even aired, I was already reaching for tissues. Playing House, once again, did not disappoint. This show is about friendship, love, family, and survival. It's always found a way to strike the perfect balance between potentially melancholy conflicts and uproarious comedy - just like life often does. I'm so glad, first of all that Jessica St, Clair is recovering and happy, and second of all, that she felt the need to tell her story and turn what could be a tragedy into a comedy that can help others. Now your job is to go watch Playing House, like I told you to years ago. I mean, REALLY.